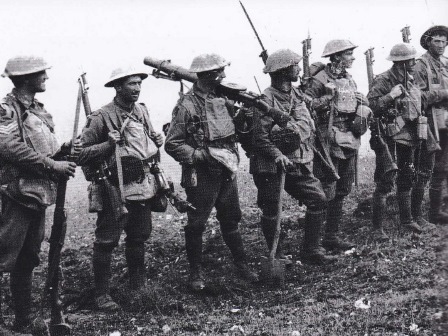 When Australian troops were deployed to the Western Front in France and Belgium in 1916, the war had been going there for two years; there was an unbroken line of trenches from the Belgian coast to the Swiss border. To the east stood Germany. To the West stood the French, British, Belgian and Portuguese allies. This line was established in 1914, and had not moved much. The four Australian Divisions, only two of which were fully combat experienced, were committed to Field Marshal Haig’s 1916 offensive under British generals whose training and experience had been in the conflicts of a past century. Our soldiers fought hard but tactical, technical and command shortcomings meant many lives were lost for little gain. In the next two years, our soldiers and their commanders learned their trade better than most of the others. Perhaps it was a kind of egalitarian spirit growing up in a society where authority tended to be discounted by the need to tame a savage environment. Perhaps it was a lack of military tradition that favoured innovation over the time honoured. Nonetheless in 1918, it was the Australian Corps of five divisions commanded by a brilliant engineer, a first generation Australian of Central European Jewish heritage (General Monash), who showed the World how the war could be won and played a large part in the 100 day offensive that forced its conclusion. The service Battlefield History tours is renown for is making certain you get to visit the areas where your ancestors fought. Let us know who your ancestors were and we will make certain, within the scope of the tour, that you get walk in their footsteps. If they paid the ultimate price, a grave or memorial site visit will be facilitated where possible. 20 April 2020 - PARIS: This is the day when guests gather at our Paris hotel and are met by their historian/guides. The day and evening are free to relax and meet other guests. 21 April 2020 - THE SOMME: Our tour departs for the Somme from our Paris hotel, at 09h00.Guests are to be at the hotel by 08h30. 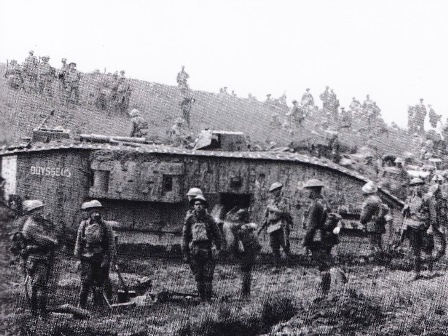 22 April 2020 - THE SOMME: After breakfast your coach will depart for our first day's touring the Somme battlefields. Your military historian/guide travelling with you will brief you during the day on events and the significance of the places you visit. 25 April 2020 – ANZAC DAY – THE SOMME: ANZAC Day, on the 102nd Anniversary of the Australian attack on Villers-Bretonneux. An early wake up call then coffee and tea in your hotel lobby before we board for the Dawn Service. On arrival you will be ushered into the area at the base of the Memorial for the traditional Dawn Service. At the completion of the Service there will be time at the Memorial to inspect the area before our coach arrives to take us into Villers-Bretonneux.